Some Handheld Mobile Gadgets User Manuals PDF above the page. 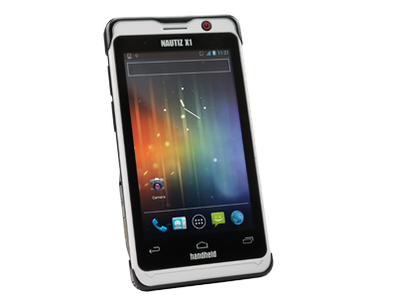 The IP67 standard does not surprise anyone, thought the Swedish company Handheld Group and released the Nautiz X1 phone, which is certified according to the military standard MIL-STD-810G. The manufacturer immediately dubbed the gadget "the strongest smartphone in the world." And, so that no one would doubt it, the Swedes added an incredible price of $ 900. By the way, this device is not the first, protected Handheld device and not the most expensive one. Whether the company has lured to itself marketing experts Apple (Manuals PDF page) and already just about will repeat destiny iPhone, whether the supplied Scandinavian militarians buy its production in tons, whether still any trumps at the manufacturer in a sleeve it is not known. 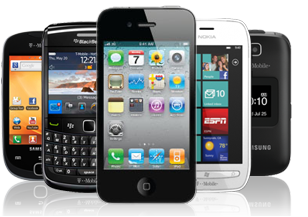 However, for the same money you can buy almost 3 of the same Outfone BD618, which has the characteristics is not worse and also corresponds to MIL-STD-810G. User manual and other documentation. And for an additional fee (probably $ 900 is not enough), it is possible to purchase additional options in the form of an extended battery with a capacity of 3060 mAh, docking station, car charger and even a cover. 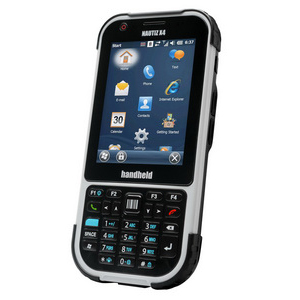 Handheld in Nautiz X1 did not invent anything revolutionary and made it in the form factor, which has already become a classic, a candy bar with touch controls. The smartphone is also painted in no less classic colors for the Swedish company - light gray with black.